A 13 episode radio series on VoiceAmerica hosted by interspiritual luminary, Dr. Kurt Johnson and a wide spectrum of Friends. We at The Convergence are so pleased that Ken Wilber has framed our Series with his theme “Waking Up and Growing Up”. It joins the perennial message of heart, love, connectedness and transformation of the world’s Great Wisdom Traditions with the urgent need for global change that truly reflects those values and ideals. Waking Up and Growing Up parallel’s Br. Wayne Teasdale’s entreaty, in his vision of Interspirituality, of joining “heart, head and hands” in this historic effort for global transformative change. Linked below is a new video, created especially for The Convergence, by Ken elaborating this vision of Waking Up and Growing Up. It parallels the message in his video just presented in October at the Science and Nonduality Conference in San Jose, California, where we also spoke about our Convergence series, and the video now at YouTube from our http://www.selfcaretoearthcare.com/ gathering in 2015 which now has over 55,000 views at YouTube (https://www.youtube.com/watch?v=H4jcxxJ_0ok). This introductory episode will feature series host Kurt Johnson speaking with Ken Wilber. Renowned integral philosopher and spiritual writer Ken Wilber frames THE CONVERGENCE series with a commentary on “Waking Up and Growing Up” — the inner and outer work necessary for real global change. A companion video will also be available. As noted above, Ken Wilber has framed our Series with his theme “Waking Up and Growing Up”. It joins the perennial message of heart, love, connectedness and transformation of the world’s Great Wisdom Traditions with the urgent need for global change that truly reflects those values and ideals. Waking Up and Growing Up parallel’s Br. Wayne Teasdale’s entreaty, in his vision of Interspirituality, of joining “heart, head and hands” in this historic effort for global transformative change. We will be posting here a new video by Ken elaborating this vision of Waking Up and Growing Up. It parallels the message in his video just presented in October at the Science and Nonduality Conference in San Jose, California, where we also spoke about our Convergence series, and the video now at YouTube from our SelfCareToEarthEare.com/ gathering in 2015 which now has over 55,000 views at YouTube (https://www.youtube.com/watch?v=H4jcxxJ_0ok). Watch Part One of a conversation between series host, Dr Kurt Johnson and Richard Bowell, recorded specially for Convergence listeners! Watch Part Two of the conversation between series host, Dr Kurt Johnson and Richard Bowell. Watch Part Three which concludes the conversation between series host, Dr Kurt Johnson and Richard Bowell. To immerse yourself in the full range of writings, videos and insights of the work being introduced by Richard A. Bowell, simply go to www.humanevolutionarychange.org. Kurt Johnson and co-host Yanni Maniates are joined by Fr. Thomas Keating and Loch Kelly to discuss nondual spiritual practice. Then, co-host Karuna discusses embodied spiritual practice with Elena Brower. This Convergence Episode brings together major spiritual teachers, writers and leaders, from across our globe’s diverse traditions, to discuss Spiritual Practice in the context of the Series’ theme, Waking Up and Growing Up. Series Host Dr. Kurt Johnson introduces co-hosts Yanni Maniates and Karuna for dialogue with an inspiring guest list from around the world. Yanni hosts a discussion with renowned Christian contemplative Fr. Thomas Keating and nondual writer and teacher Loch Kelly on nondual spiritual practice and Awakening. Integral philosopher Ken Wilber, co-host of our Episode 1 on Waking Up and Growing Up comments further on their discussion. Then, in the context of today’s popularity of Yoga worldwide, and the United Nations proclamation of an International Yoga Day, Kundalini yogini Karuna joins acclaimed yoga teacher Elena Brower in a discussion of Yoga, Waking Up and Growing Up, and the current landscape of Yoga’s popularity around the world. Watch a conversation between this week’s special guests, Loch Kelly and Fr Thomas Keating, recorded specially for Convergence listeners! 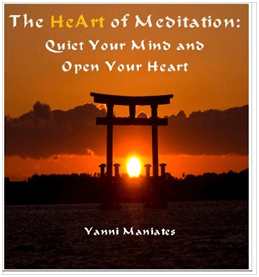 Download and read The HeArt of Meditation by Yanni Maniates. Featuring series co-host Ben Bowler with Doug King, Yanni Maniates, Stephen Dinan, Pato Banton and global interfaith guests. This episode explores the various programs and initiatives that are building up to major events promoting global spiritual unity, culminating in the Interspiritual Road Show – “1GOD Express” across America in 2020. The Road to 2020 features global change-makers, and Grammy Award nominees, planning major events, initiatives and festivals worldwide during the next critical years of our planet’s history. Ben Bowler of 1 God.com, Doug King of Presence, and series host Dr. Kurt Johnson join Stephen Dinan, founder of the dynamic Shift Network, for an inspiring overview in light of Stephen’s recent bestseller Sacred America, Sacred World. Ben then engages famed international musicians Pato Banton, Antoinette Hall and Ras I Ray, sharing vision of the U DAY Festivals: multi-cultural events of music, art, dance, and much more, ongoing worldwide since 2016. Yanni Maniates and Hana Bowers of 1god’s World Weavers then update their cultural tourism- Mystic Express- and plans for a global web education Academy. Ben, Stephen and Doug then rejoin for discussion of global events that will culminate this work in 2020, coordinated around the United Nations International Day of Peace and other world holidays. Featuring series co-host Ben Bowler with Pato Banton and global interfaith guests. Featuring Dr. David Sloan Wilson with Richard Clugston, Steve Farrell, Catherine Bell, and guests. Kurt Johnson is joined by co-host, renowned altruism scientist David Sloan Wilson, for discussions with Richard Clugston, Humanity’s Team CEO Steve Farrell, Catherine Bell, and guests. We’re all familiar with the shark-tank competitive world of day-to-day life, especially in the world of economics, business and politics. We’ve taken for granted, since Darwin, that evolution’s process of Survival of the Fittest mandates this tough reality we live in. But often our hearts, and deeper senses, make us wonder if this world of competition and conflict is really what nature intended. Mainstream science took a big U-turn on this about one year ago when Yale/Templeton’s series on The Foundational Questions in Science declared that, at the level of group relations, nature’s process selects not for selfishness but for altruism, that is, structures and processes the serve the whole. Dr. David Sloan Wilson, author of that landmark book, joins us with global change-makers Dr. Richard Clugston, Steve Farrell, and Catherine Bell in this discussion of evolution and altruism. The discussion concentrates on the implications of all this on our world’s business practices. Thought leaders gather in New York City to discuss with Stephen Dinan his book, ‘Sacred America, Sacred World’ and the Altruistic Evolution Paradigm. 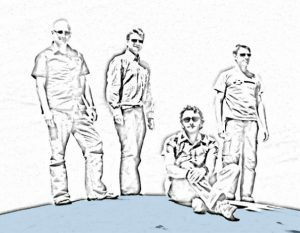 A roundtable discussion on Altruism with Dr. Kurt Johnson, Steve McIntosh, Yanni Maniates, Dr. John Latham, Steve Farrell, Woody Vaspra, Marc Ian Barasch, and Karuna. Featuring Dr. David Nicol with Oscar Miro-Quesada and guests. Kurt Johnson is joined by co-host Dr. David Nicol, author of Subtle Activism, for discussions with shaman Oscar Miro-Quesada and guests. This subject commands incredible interest worldwide. Globally, cultures are becoming more convinced that subtle realms of reality not only exist but may affect our lives in ways far more profound than we realize. This perspective is fueled by a growing awareness of ancient and indigenous wisdom and modern science’s understanding of our profoundly interconnected quantum reality. Science and ancient wisdom meet in our investigation of these subtler realms of reality. The episode features leading voices from science and ancient and indigenous traditions. Dr. David Nicol, author of Subtle Activism, moderates. Based on his landmark book, Dr. Nicol (California Institute of Integral Studies and a founder of Gaiafield.net and Subtleactivism.net) examines Subtle Activism and its implications with indigenous shamanic voices Oscar Miro-Quesada and Luisah Teish, and renowned western contemplative David Spangler. Among other topics, they consider how intention and prayer may influence reality. Watch Drs. J. J. and Desiree Hurtak and James Ross Godbe as they discuss sacred geometry, recorded specially for Convergence listeners! With co-host Deborah Moldow. 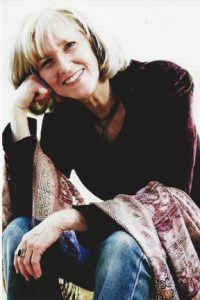 Featuring Diane Williams with guests from The Evolutionary Leaders. Kurt Johnson is joined by co-host Deborah Moldow for discussions with Diane Williams, Gregg Braden, Patricia Albere, Duane Elgin and other guests from The Evolutionary Leaders. What will it take to usher in a new era of leadership that can be a catalyst for expanding coherence, connectivity and synergistic engagement? Members of the Evolutionary Leaders circle (www.evolutionaryleaders.net) will discuss how the fruits of our inner transformation can move us into new dimensions of leadership based on heart-centered interactions, innovative models for mutual awakening and new cultural narratives. This rich roundtable discussion will explore how to strengthen our resonance and resilience, learn joyful simplicity, and harness our innate wisdom and capacities, so that together we can support the evolution of human consciousness. Dr. Kurt Johnson will co-host with Rev. Deborah Moldow for an inspiring conversation with Patricia Albere of the Evolutionary Collective, renowned authors Gregg Braden (The Divine Matrix, Fractal Time, Deep Truth), Duane Elgin (Voluntary Simplicity, The Living Universe), and Diane Williams, founder of the Source of Synergy Foundation. Featuring Doug King and Mike Morell with Brian McLaren, Brandan Robertson, and Cynthia Bourgeault. Kurt Johnson is joined by influential co-hosts Doug King and Mike Morrell for dialogue with progressive Christian leaders Brian McLaren, Brandan Robertson, and Cynthia Bourgeault. Does Christianity have a future? Does the future have a Christianity? This is a question equally relevant to the future of all the world’s religions but, with its 2 billion+ members it is especially poignant for this tradition rooted in Jesus of Nazareth. In recent years, across all its forms, Christianity has experienced a paradox: growing fragmentation, scandal, and entrenchment and departures in some areas, alongside growing holism, integrity, and recovery of both ‘wisdom’ and ‘activist’ elements in other expressions. In this episode, hosts from the integral theology think-tank Presence International (http://presence.tv), Doug King and Mike Morrell, interview American luminaries Brian McLaren, Cynthia Bourgeault, and Brandan Robertson to explore natural limitations and signs of hope among the world’s largest religion amid evolutionary change. There is perhaps no better example of a religion that has expressed itself across multiple, and often conflicting, developmental levels. Featuring Doug King with Angie Thurston; Dr. Andrew Vidich with Ben Bowler and global interfaith guests. Kurt Johnson, and interfaith-leader co-hosts Doug King and Andrew Vidich discuss world religions with Angie Thurston of Harvard Divinity School, Ben Bowler, and global interfaith guests. What happens to the world’s religions as we become a global and multi-cultural civilization? Worldwide, traditional boundaries of all kinds are obviously breaking down. In this episode, prominent voices from across the world’s religious and spiritual traditions discuss this uncertain future. First, Doug King of Presence.tv and Angie Thurston of Harvard Divinity School discuss the future “trans-narrative” that could eventually emerge from our worldwide mix of thousands of historical traditions. The conversation is then joined by Drs. Andrew Vidich, Darrol Bryant, and Kabir Helminski–prominent interfaith leaders and writers. They assess the possibilities of an emergent global consensus about religion based on shared principles, both in concepts and behavior. Together again, the commentators then discuss current global trends toward religious disaffiliation, emerging interfaith and interspiritual spirituality, and the pervasive yearning today for meaningful and authentic community. Philip Hellmich with global peace initiative guests Emily Hine, and James O’Dea. Kurt Johnson is joined by Philip Hellmich, Director of Peace for The Shift Network, for discussion with global peace initiative leaders Emily Hine and James O’Dea. Philip M. Hellmich, Director of Peace at The Shift Network (www.theshiftnetwork.com) and author of God and Conflict welcomes James O’Dea and Emily Hine for this episode on Peace and Conscious Activism. They highlight the exponential growth of approaches to peace, from inner peace to international peace-building and across multiple sectors of society. One of the most exciting areas that is emerging is “conscious activism.” James O’Dea is the author of The Conscious Activist: Where Mysticism Meets Activism. In this conversation we hear from James about the inner spiritual rigors of engaging in the world as an effective peace-builder. Emily Hine then discusses how mindfulness and compassion practices are a cornerstone for becoming a conscious activist. Philip, James and Emily continue with highlights of peace building work around the world, especially emphasizing the work of The Shift Network with their Summer of Peace and World Peace Library programs. Kurt Johnson is joined by co-host Claudia Welss of The Institute of Noetic Sciences for this discussion with renowned holistic science pioneer Deepak Chopra on Consciousness and the New Holistic Science. In Deepak Chopra’s new book “You Are the Universe” (February 2017), Deepak concludes that while the old science of an external physical universe has been mortally wounded by the “new” science of quantum physics, quantum physics itself raises more questions than it may be answering. As a response, he offers a new interpretation of the universe—one infused with consciousness and which can serve as a reliable foundation for a future science that is more inclusive, more holistic. This new interpretation is based on “qualia” (units of experience) instead of quanta (units of energy), and describes a “human universe” that not only coheres with our subjective experiences in every day life, but informs what it means to assume the identity of a cosmic self. In this episode, Deepak illuminates what visionary quantum pioneer Wolfgang Pauli meant when he said that “the science of the future reality will neither be psychic nor physical but somehow both and somehow neither,” and why it matters. Featuring Myra Jackson and guests, Tim Wise, Vera de Chalambert, and Etoy Ridgnal. Kurt Johnson is joined by cultural activist co-host Myra Jackson and guests, Tim Wise, Vera de Chalambert, and Etoy Ridgnal, for a probing examination of cultural harmony. Tune into this uncommon conversation starter on race and the opportunities before us during this turning point in America. Co-host, Myra Jackson with a unique set of guests will explore the central question of what might it mean to become fully human in a way that uproots the entrenched culture of cruelty that underlies one of the greatest divides of our time. Joining Myra is prolific author Tim Wise who discuss his latest book, Under the Affluence, Etoy Ridgnal, President of Community Advocacy Partners, a social impact agency that creates social action campaigns that enlighten, engage and uplift communities, and influential blogger and spiritual story teller, Vera de Chalambert. The conversation is a fire starter intended to continue in the manner that informs the heart and ignites the blossoming of humanity and greater unity. Featuring Dr. Richard Clugston with Karenna Gore, Michael Dowd, Mindahi Bastida Munoz and guests. Kurt Johnson is joined by co-host sustainability expert Richard Clugston for discussions with leaders Karenna Gore, Michael Dowd, Mindahi Bastida Munoz, and other climate crisis activists. This episode explores the current global climate and environmental challenges our planet faces. It recognizes that “transformative change is needed” and “business as usual is not an option”. We cannot make the needed shift to “a world that works for all,” that “leaves no one behind,” unless we make real transformative changes in our world-views, practices and policies. World-views contain our core assumptions about the nature of reality and our purpose in life. They need to shift to a deep sense of interconnectedness, respect and care for the whole community of life and future generations. In our practices- our consumption of energy and food, our carbon footprints, how we relate to others. We need to live compassionately, in ways that all can live. Our social and economic policies needs to shift away from an obsession with short term economic growth toward a new bottom line that focuses on full human development for all in a flourishing, increasingly diverse, Earth community. Featuring Kurt Johnson with Stephen Dinan, joined for conclusion by Ben Bowler and Doug King. Stephen Dinan, Shift Network founder and author of Sacred America, Sacred World joins Kurt Johnson for a wrap-up with Series hosts Ben Bowler and Doug King. During this remarkable series Dr. Kurt Johnson and friends have brought together many diverse threads from eco-spirituality, subtle activism, evolution of consciousness, the future of world’s religions and much more. In this final episode of the first series we take a look at how this “convergence” of ideas is set to play out in the next four years as we collectively ramp up to 2020. Series co-hosts, Ben Bowler from 1GOD.com and Doug King of Presence, join overall series hosts Kurt Johnson in a rich dialogue with Stephen Dinan, founder of The Shift network and author of Sacred America Sacred World. Together they explore the next steps in the process of the unfolding of events towards 2020 and beyond. They also take a moment to look back at the series and reflect on the journey and in particular how it relates to the overall vision of inter-spirituality as originally laid out by Brother Wayne Teasdale. Join us for this series ending episode of The Convergence Radio Show. Thanks for sharing the journey of The Convergence with us. This is not the end; it’s a beginning.